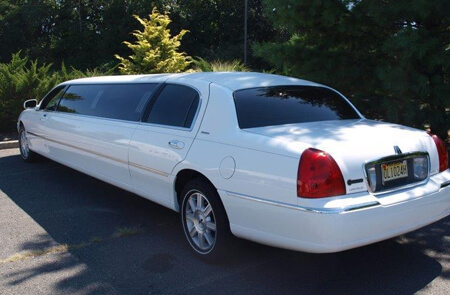 Here at Party Bus New York City we are proud to prevent our gorgeous fleet of custom luxury vehicles. 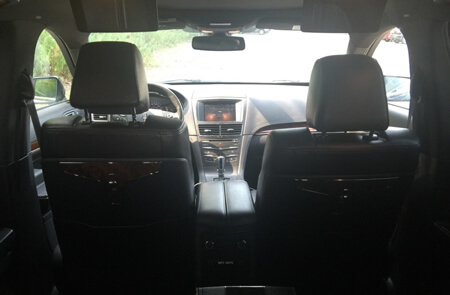 Our vehicles feature luxurious custom interiors that offer both comfort and style. If you'd like more details on a particular bus or would like to get quote just give us a call! 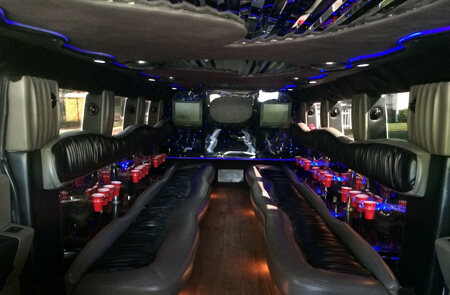 Our beautiful NYC party bus offers plush leather seating and several luxurious features. 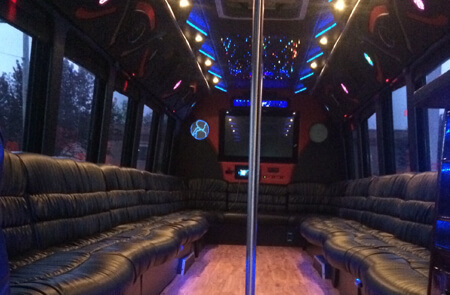 This gorgeous bus features colorful lighting in the ceiling and throughout, hardwood floors, dance pole, bar areas where you can mix cocktails and chill beer, flat screen TVs with DVD players, a great sound system, custom ceiling, and of course deeply tinted windows for privacy! 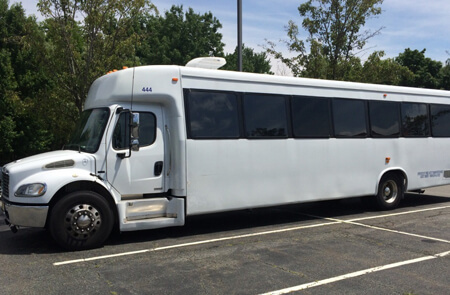 This is a beautiful bus and makes a great choice for any event from weddings to birthdays! 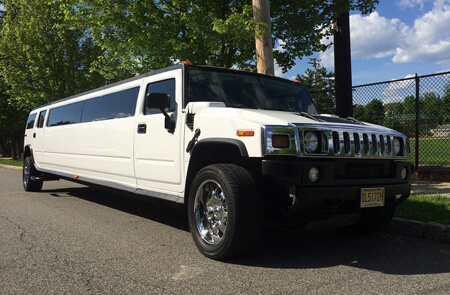 Our Hummer Limousine is a gorgeous vehicle. 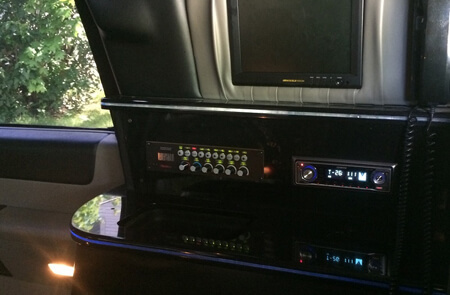 Custom leather seating, several cup holders, coolers, TV and DVD player, super loud stereo system, mirroed ceiling, colroful lighting - this limousine has it all! Super luxurious, super comfortable, beautiful hardwood floors, and of course a Hummer exterior that will turn heads! 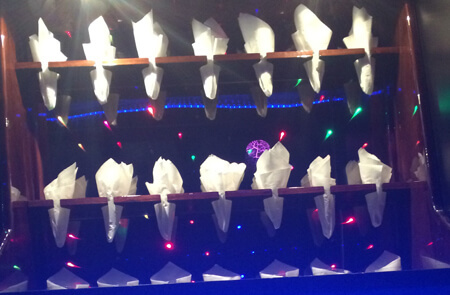 Above you'll see one of our Rolls Royce limousines, and our white Towncar and black Towncar stretch limousines. Each of these vehicles is luxurious, timeless, and beautiful. 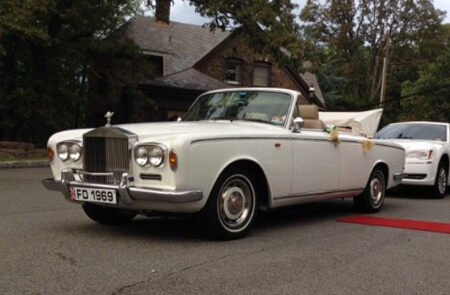 Each of these is ideal for weddings or any other occasion that calls for lavish transport! Looking for around town transport? Perhaps a ride to the airport? 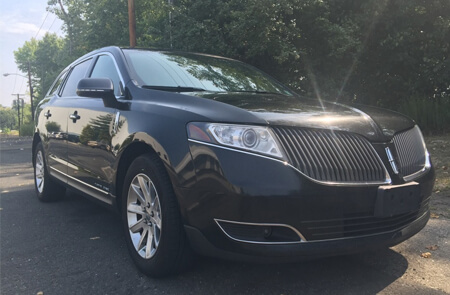 Our spacious Lincoln MTK is a perfect choice! 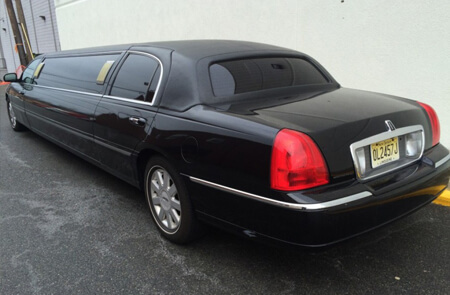 We can transport up to 4 passengers with tons of space for luggage (or shopping bags)! 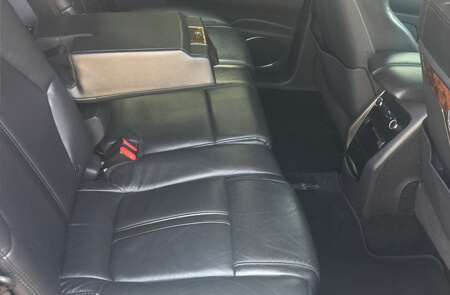 Enjoy being chauffeured for a day in this comfortable and luxurious little vehicle.